BF10 strength amdcompression of upto 60 kgs. If you often deliver goods to your customer and have faced problems with the durability and strength of the boxes, these white corrugated boxes are for you. 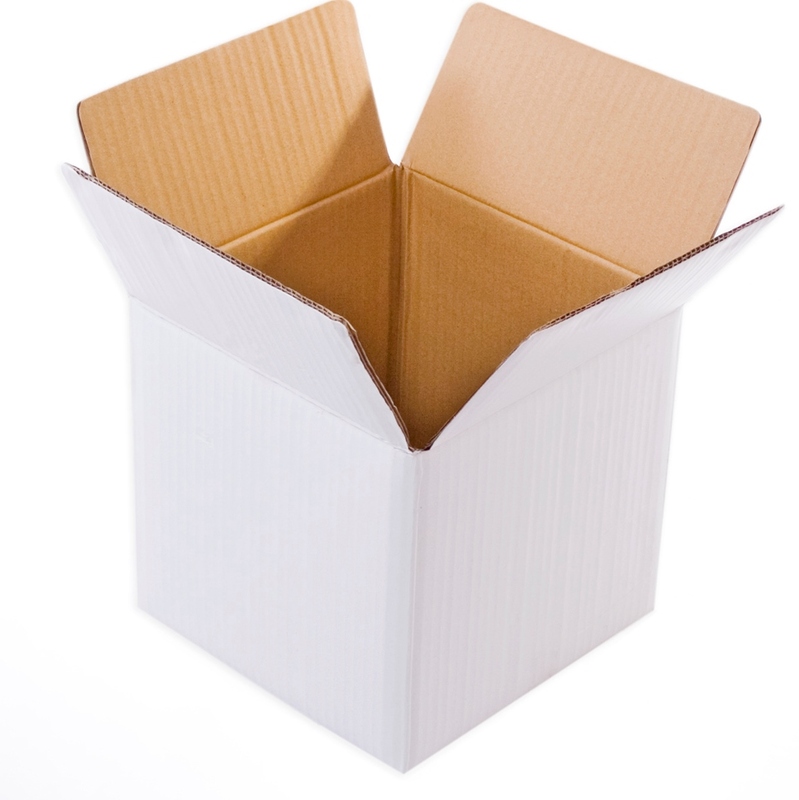 Our white shipping boxes come in various sizes so that all your goods have the right amount of space needed. They can be used for packing and storing goods of multiple shapes and sizes. Apart from the safety element of the white corrugated boxes, you can also customize these boxes further to make them more appealing because they are completely white. You can add your brand logos and details on all sides of the boxes so that it looks elegant and also professional. With the plain white packing boxes, you can add as much information and design you want on your boxes so that with the safety and security of the products inside, it also becomes informative and good looking outside. The materials used to make these white shipping boxes are of extremely superior quality that ensures stability of the box in different conditions; it is made up of recycled and virgin kraft paper. The colour used to paint these boxes are crisp white and don't fall pale even when you add additional details on the white background. One of the benefits of the boxes is that since the background colour is white, the details stand out and stays in focus for anyone to see or read. 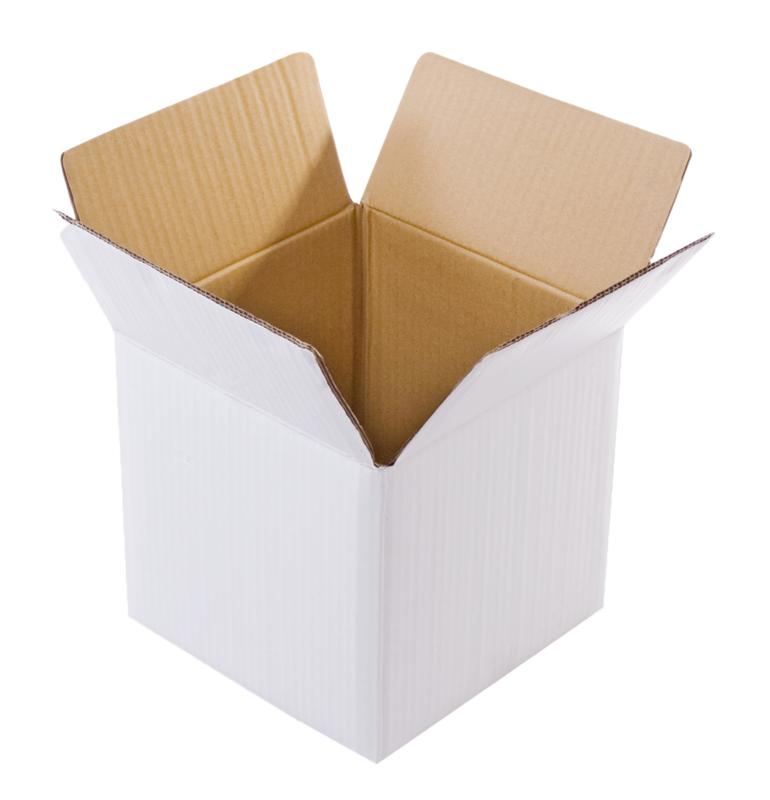 These white shipping carton boxes also come in different sizes and have 3 Ply, 5 Ply, and 7 Ply according to the different sizes. These boxes are of BF10 strength standards and can handle compression of up to 60 kg at once so you don't have to worry about fragile goods while your boxes are in transit. The white shipping boxes can be used for delivering large, medium or even small goods of different weights. So delight your customers with better goods but with better packaging too this time. You can buy these white shipping boxes online from DCGpac at wholesale prices and also get the convenience of getting them delivered to your doorstep. See all corrugated boxes here.